Designing and planning all the details of a wedding is one of our favorite things to do. 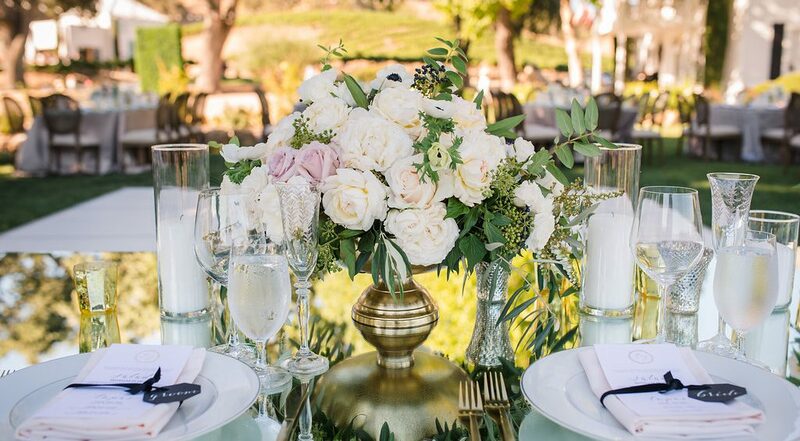 Even though the setting was natural and organic, we brought in a timeless and romantic look with some modern edges. Instead of a complete neutral palette we used hints of rose and mixed metals to add some flair creating one, gorgeous wedding!